I buy kirti finvest (currant name is sagar production ltd bse scrip code 532092) @0.37 in 10.05.2010 in my first list of penny stocks. Currently close on 0.54 so this penny share give us near about 50 percent profit in 35 days. You remember my policy of investing in penny share. When I start this concept I make a rule to book 100 % profit so as this rule we will wait price of 0.74 but now my plan to make some change in penny stock trading rules. So it is good to book profit in kirti finvest at price of 0.55. I notice that all of these penny stocks is trading stocks and give 15 percent return easily in very short periods. So why we can not play in these share for short term profit. 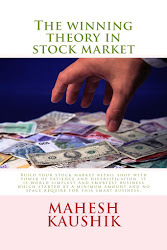 2nd thing when I declare my buying list of penny stocks I can not adjust price according to face value for example if a 1 rupee face value stock “X”market price is 0.33 and 10 rupee face value stock “Y”market price is 2.00 then which stock is cheap? The cheap stock is “Y” because if we adjust “X” stock price as 10 rupees face value then it is 3.30 not 0.33. So I start to make a fresh list of penny stocks with there face value book value and promoter holding. Before we apply this revised concept first we book all of our old holding in some profit so I decided to book kirti finvest first in 50 percent profit. In our next list we increase investment quantity 5000 from 500 and try to book 15 percent profit in a trade.